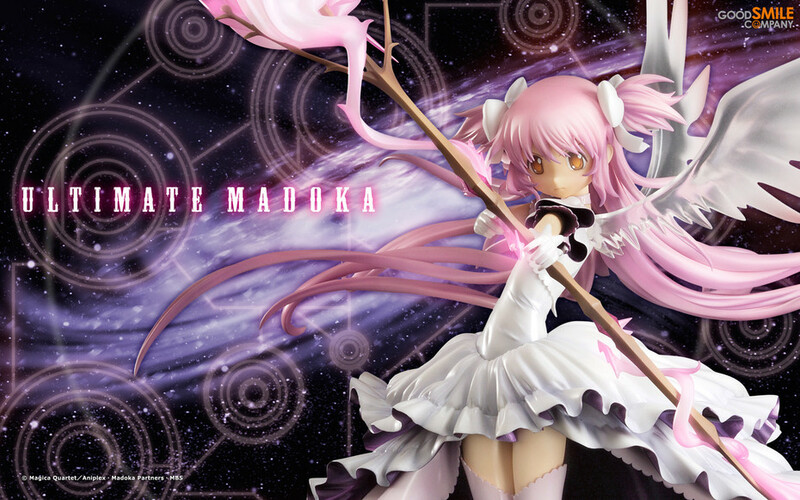 "I wish that all witches were erased from existence…"
From the last episode of the hit anime series 'Puella Magi Madoka Magica', comes a 1/8th scale figure of Ultimate Madoka - the form Madoka took once her wish was granted and she became a Puella Magi. 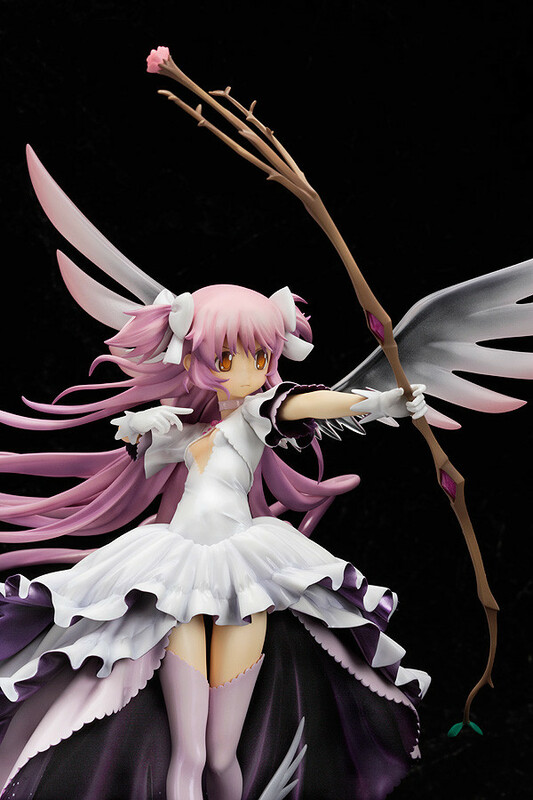 Her long flowing hair, the deep space confined within her dress, her transparent wings and even her bow that looks like a budding flower - every part of Ultimate Madoka has been carefully sculpted to faithfully reproduce the original. 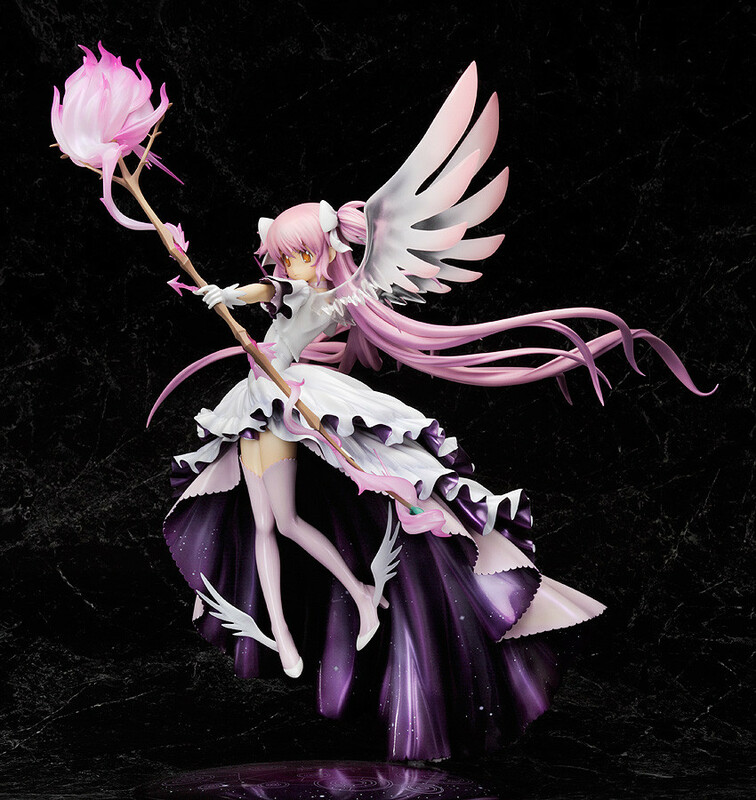 The included pedestal is made to look like the magical symbols in space that formed each time she fired an arrow. 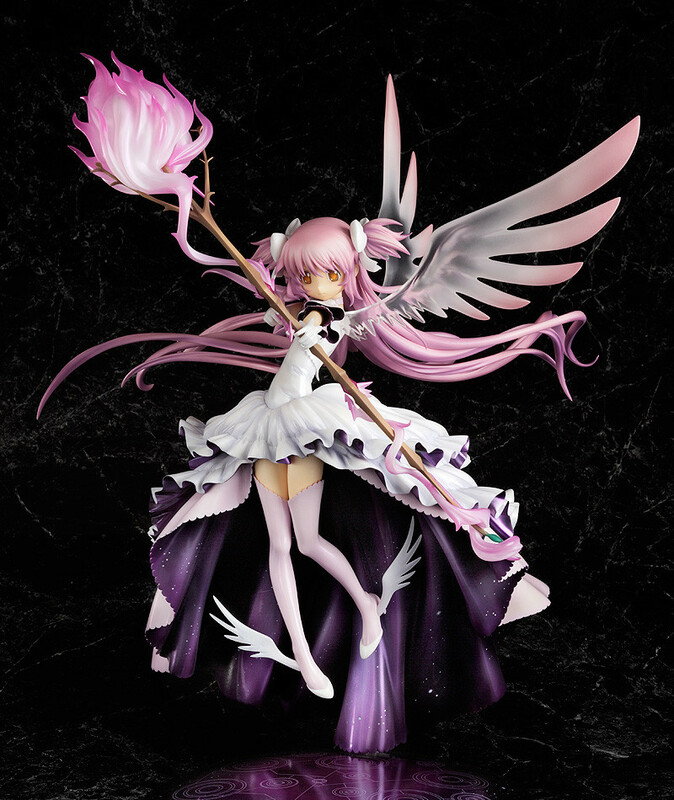 This product will be sold at our partner shops as well as the GOODSMILE ONLINE SHOP. Please see the page below for more information. 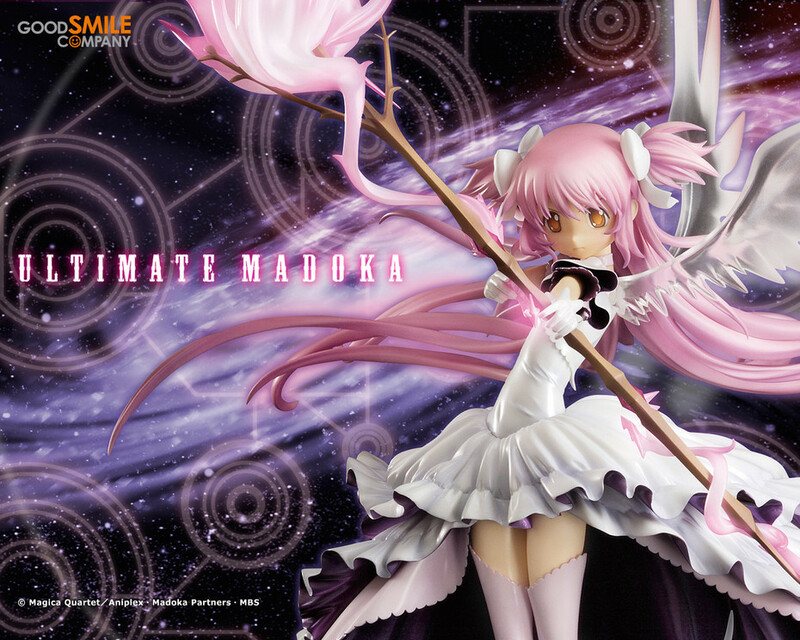 ■ Order Dates: Orders can be placed between 8th June 2012 (Fri) from 12:00 until 1st August 2012 (Wed) at 21:00. ■ A maximum of five products per person will be available. 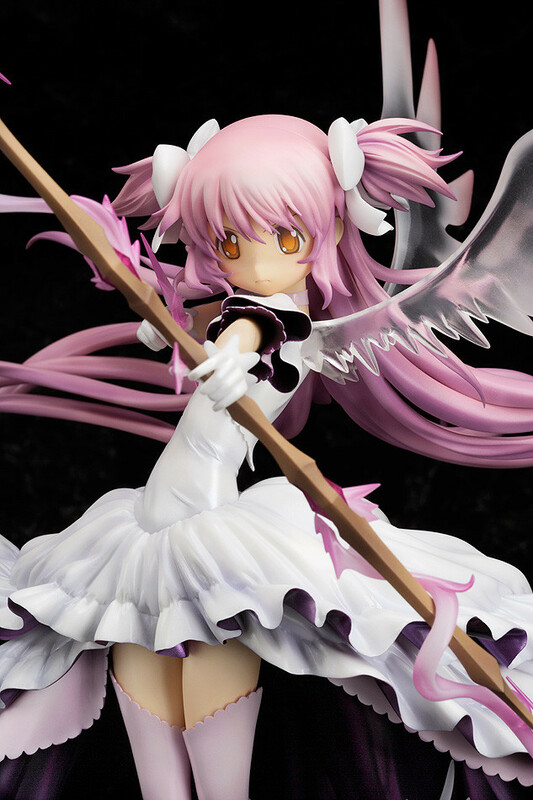 ■ Shipping will be charged at 525JPY. 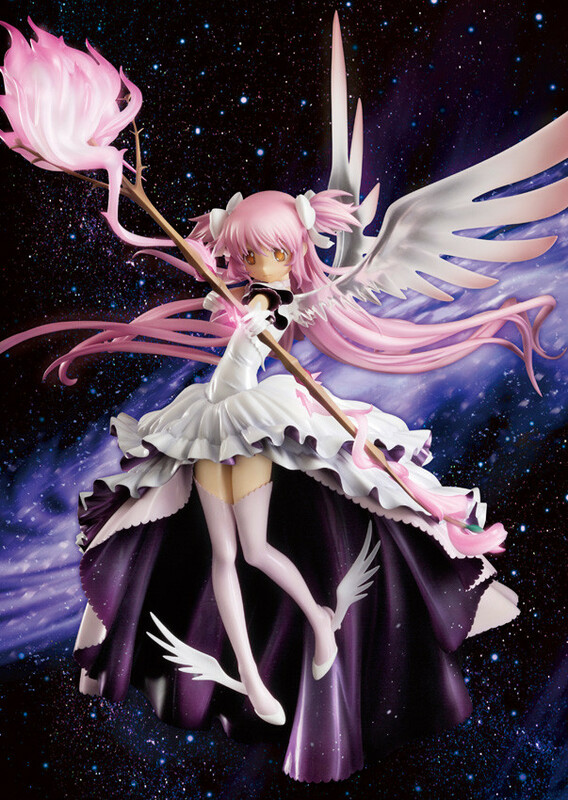 ■ Estimated delivery is December 2012. ■ Payment will be via cash-on-delivery, bank transfer or credit card. This product can be ordered from the following stores. 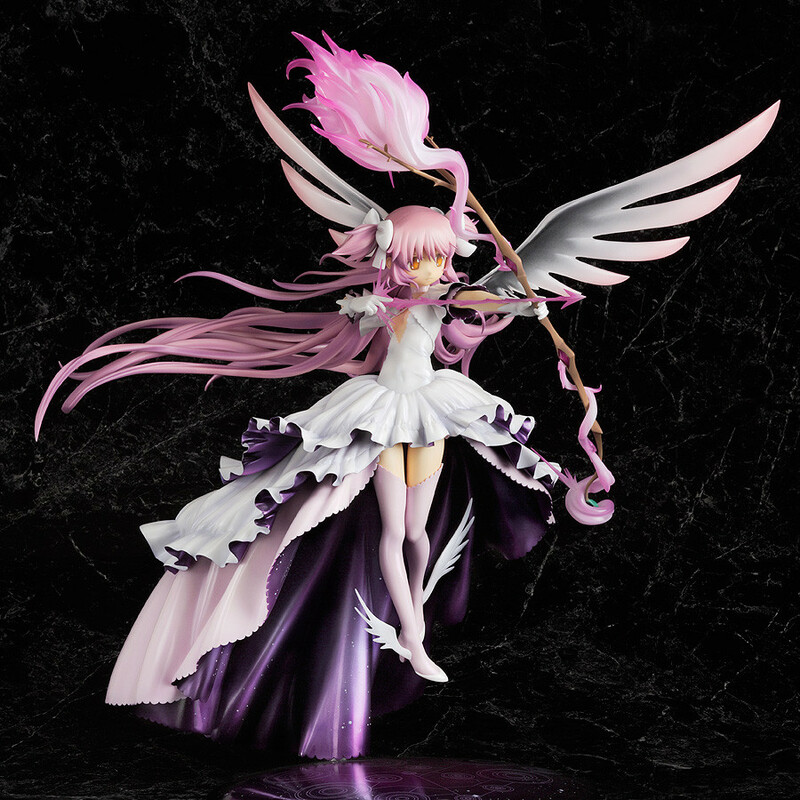 ■ Order Dates: Orders can be placed between 8th June 2012 (Fri) from 12:00 JST until 1st August 2012 (Wed) at 21:00 JST. ■ You may be charged additional fees such as import tax or customs duties when buying from overseas. Please be aware of this before ordering. Please note that delivery to China may be delayed for customs clearance by up to 2-3 weeks. 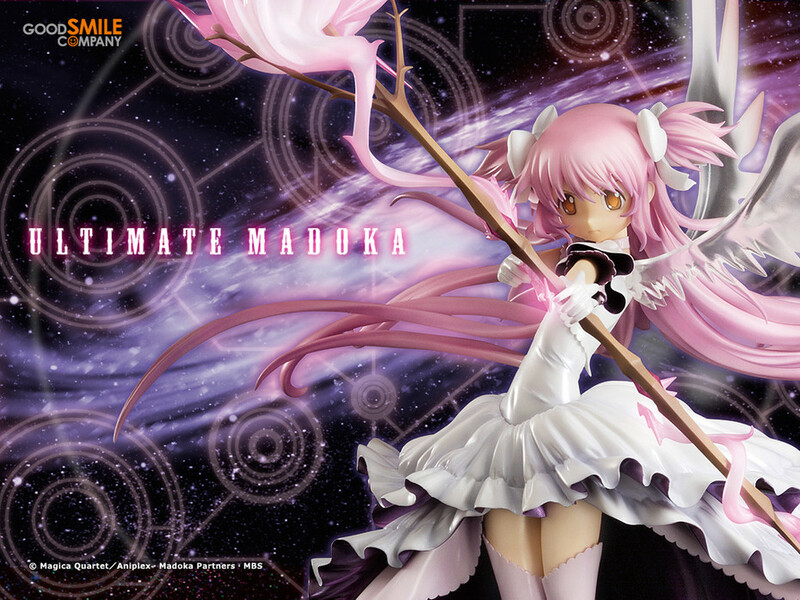 The latest Good Smile Company commercial features 'Ultimate Madoka' from the series Puella Magi Madoka Magica. 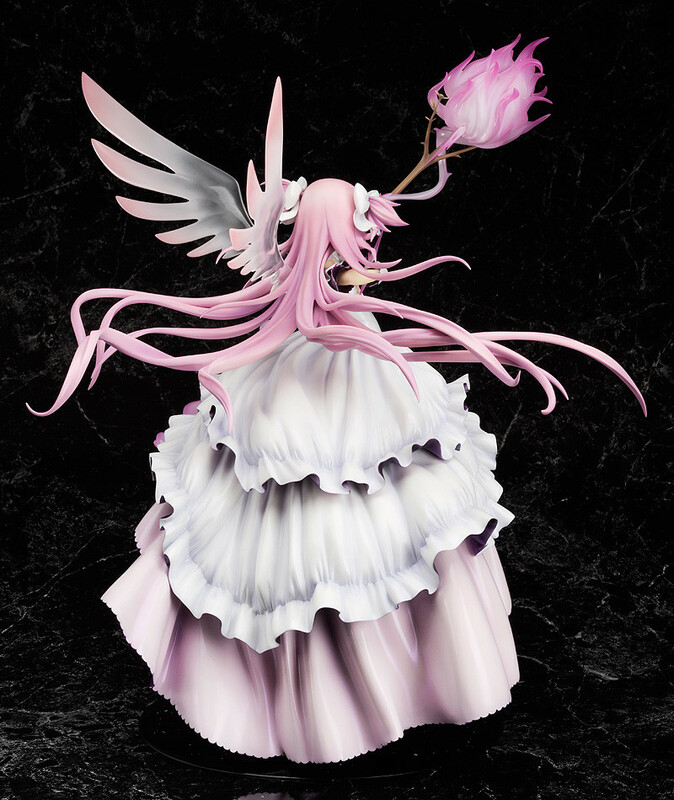 The figure will go on sale in November 2012.